Product prices and availability are accurate as of 2019-03-29 07:55:08 EDT and are subject to change. Any price and availability information displayed on http://www.amazon.com/ at the time of purchase will apply to the purchase of this product. 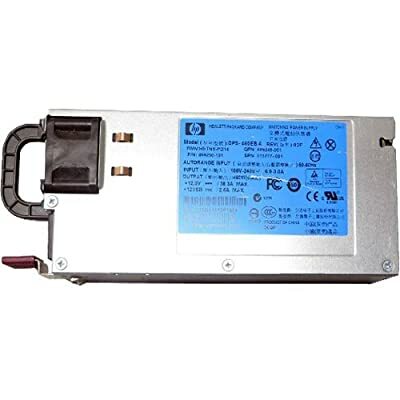 HP 460W Common Slot Gold High Efficiency Hot Plug Power Supply for ProLiant Servers and HP Storage Sub-systems. Super Clean. In stock - ready to ship.